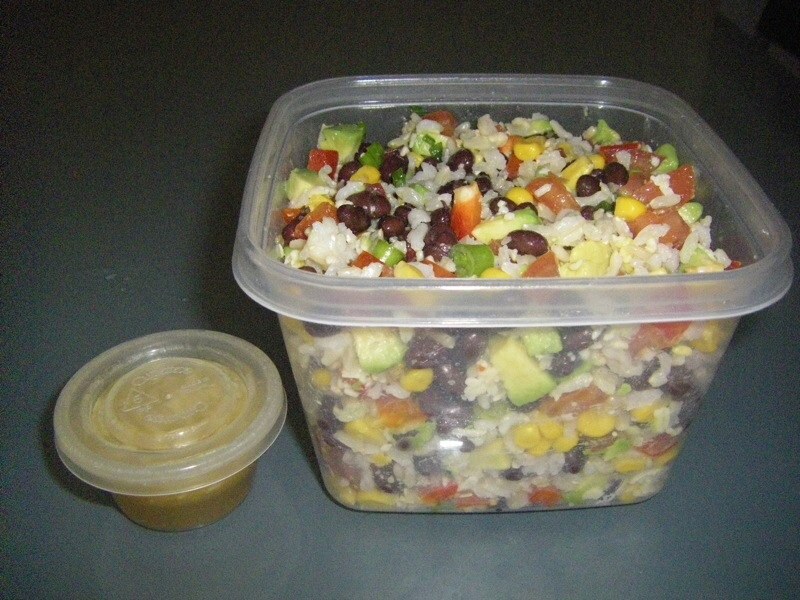 Rice, Avocado and Lime Salad is my go-to meal for picnics because it keeps well, even if there is no room left in the cooler to keep it in. 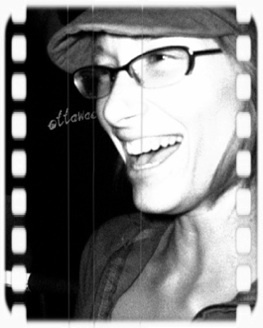 Try it two ways: layered in glasses for a fancy or festive look, or mixed in a giant bowl to feed many quickly! 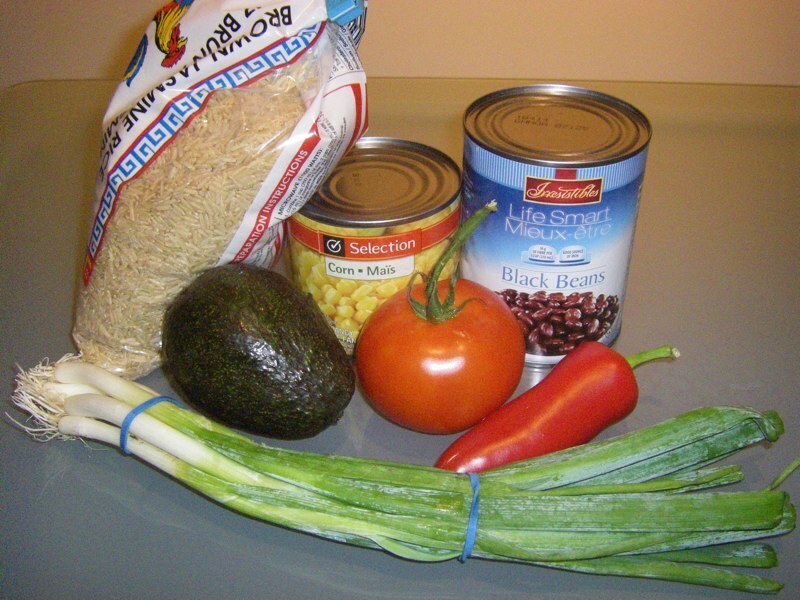 You can also extend this salad to feed more people inexpensively by simply increasing the amount rice. The quantities given feed about 8. Note: I’ve divided the ingredients into the main salad and dressing ingredients, so keep scrolling down for the dressing ingredients! Coriander, 1/2 teaspoon (ground/ powdered), or you can use more of the fresh! Always start with the rice because it takes the longest. 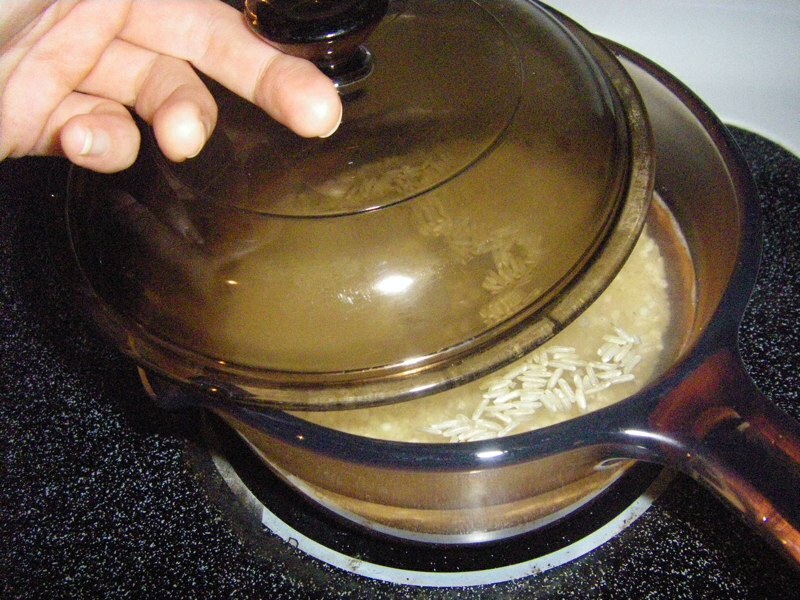 Add 2 cups cold water to 1 cup dry rice. Bring to a boil then turn down and let simmer for about 20 minutes until all of the liquid is absorbed (do not stir). Continue with the rest of the instructions while you are waiting for the rice to cook! 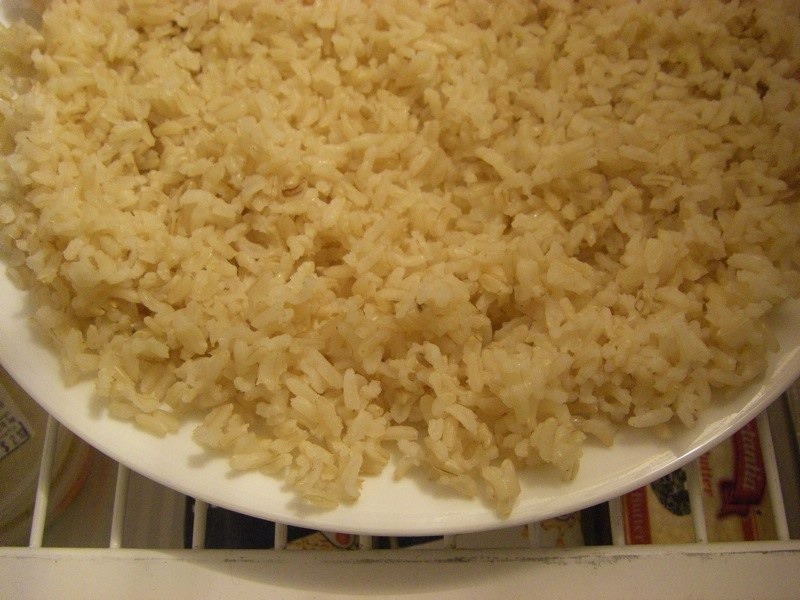 Once the rice is done, spread it on a large plate or pan and place it in the fridge to cool it quickly. While you are waiting for the rice to cook and/or cool, chop up your vegetables, but save the avocado for last to keep it from browning. 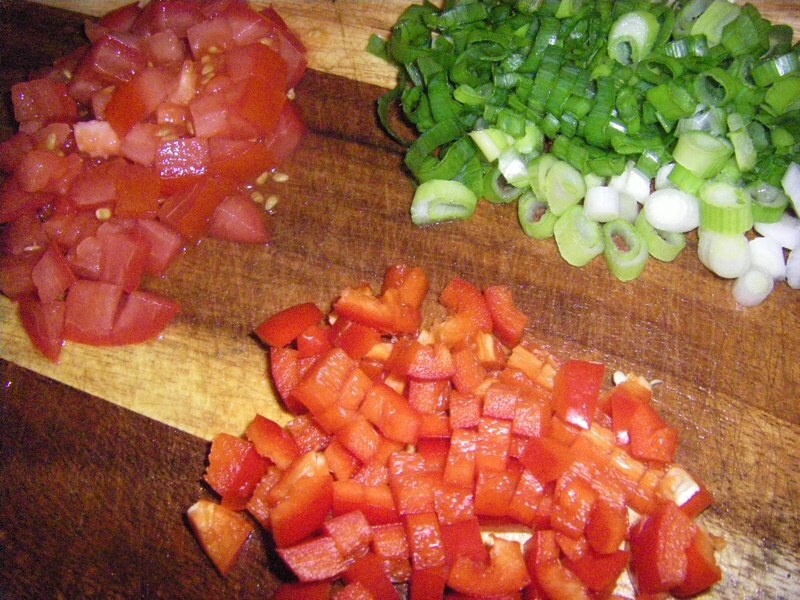 Dice the tomato, green onion and red pepper. 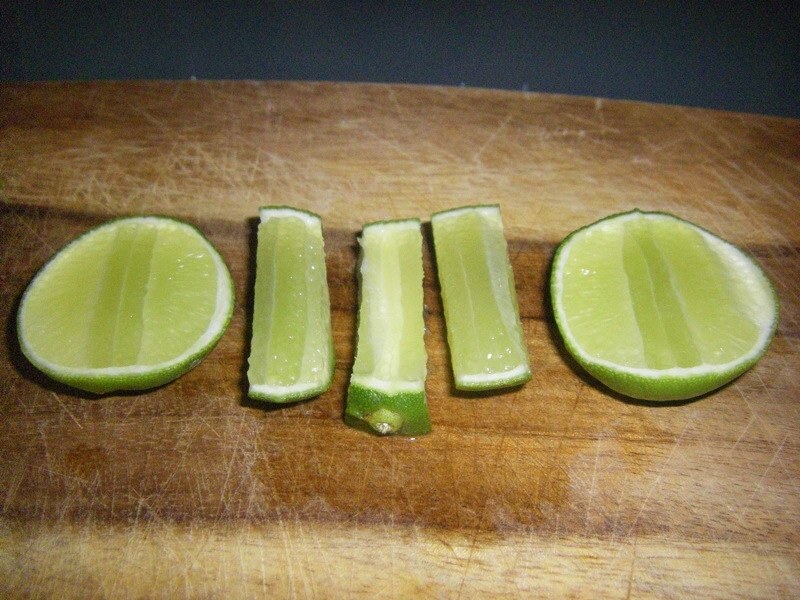 Slice up a lime before dicing your avocado. 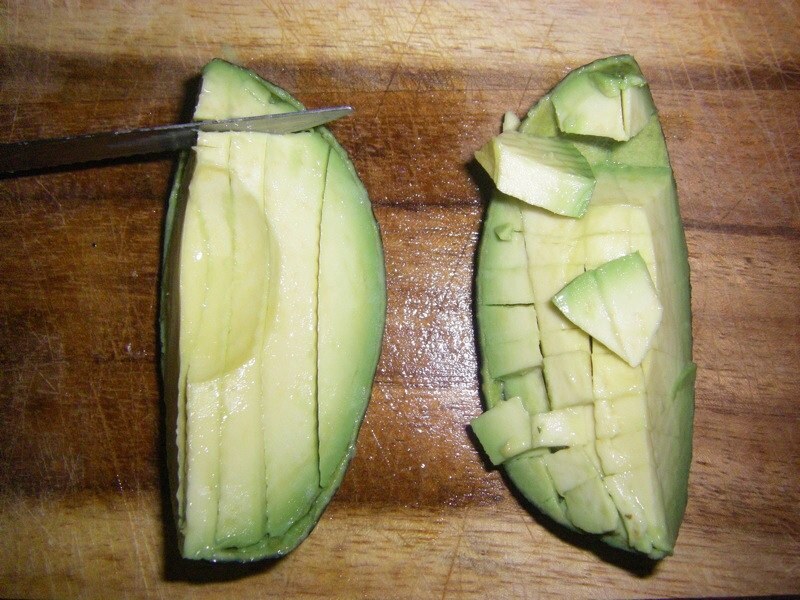 Dice your avocado and immediately sprinkle a bit of the lime juice on the pieces to keep them from browning. 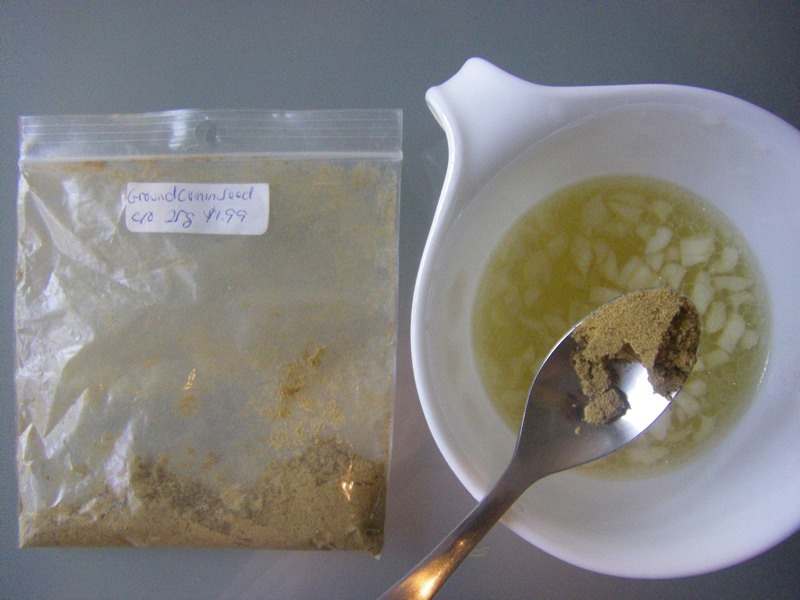 Now you can get the dressing ready while you are likely still awaiting the rice to cool down. 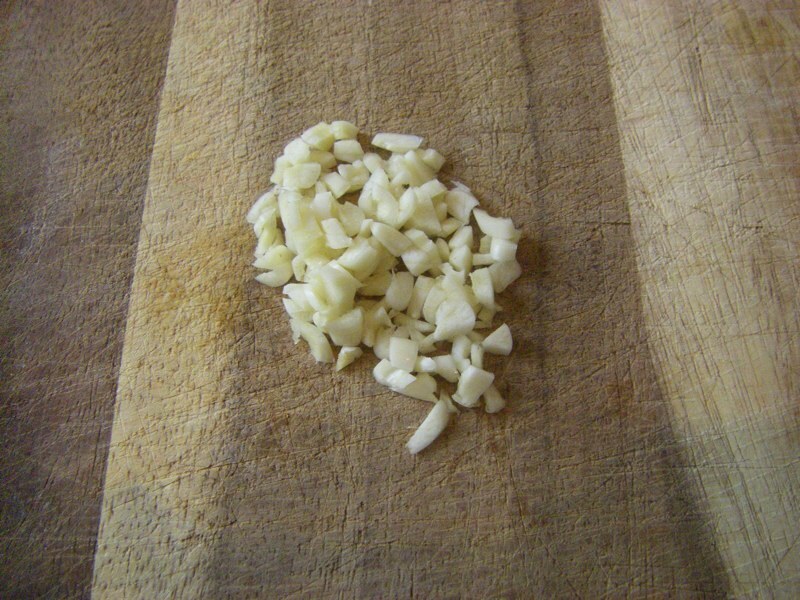 Dice a clove or two of garlic finely. 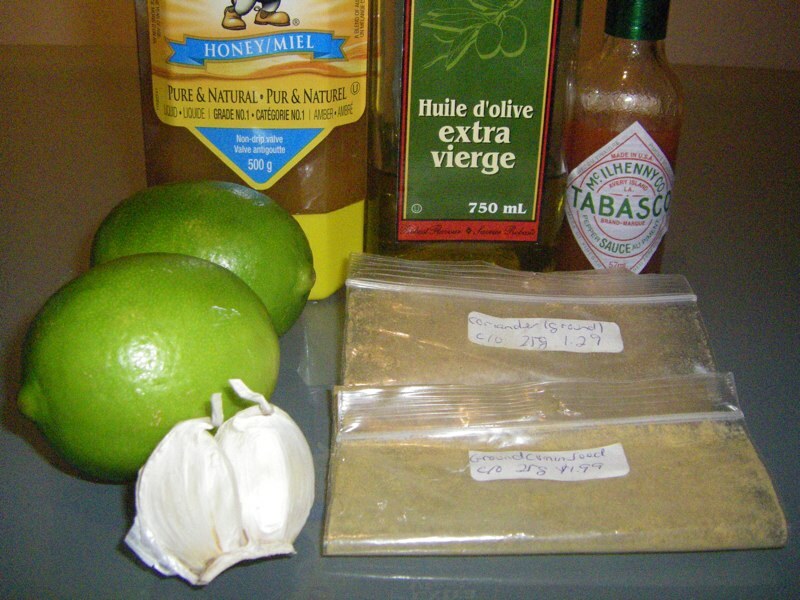 Stir the oil, lime juice, garlic, tabasco sauce, cumin and coriander powder together. Try to buy your spices from a bulk herb store (such as Herb & Spice or possibly the Bulk Barn if you live in Ottawa) to keep costs down. 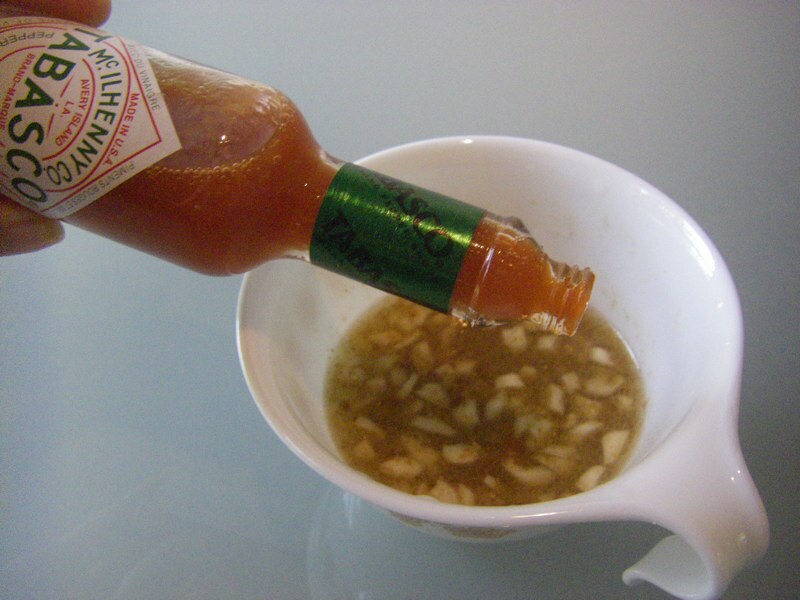 You can likely add more tabasco sauce than you think! 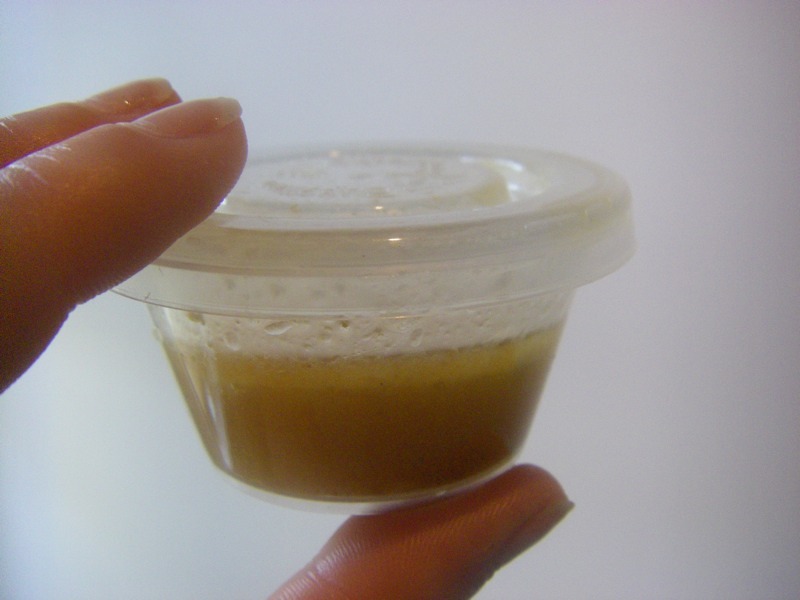 Sometimes I like to make the dressing right in a little container that has a lid. Then you can just shake it to stir and it is picnic (or lunch box) ready! Once the rice is cool, you can either layer your main ingredients in a glass for a classier look, or mix them all in a big bowl as seen in the lunch batch I made below. I am able to fill 8 glasses with leftovers or about four big lunch containers with the quantities listed above. 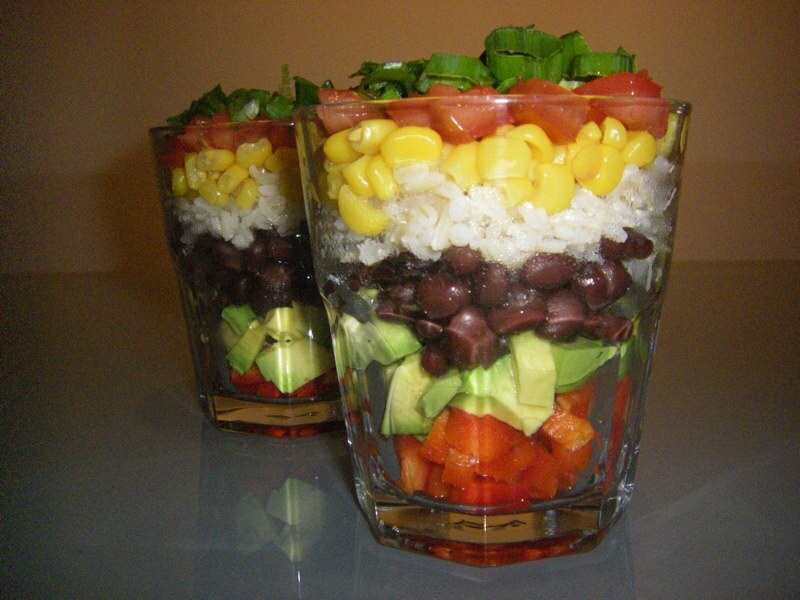 I layer the glasses starting with the red pepper, then avocado, black beans, rice, corn, tomato and finally green onions on the tip top. Always add the dressing right when you are ready to eat the salad or it gets absorbed by the rice and some of the flavour gets lost. Refreshing, filling, healthy, vegetarian and surprisingly zesty! How can you go wrong? Jump up.